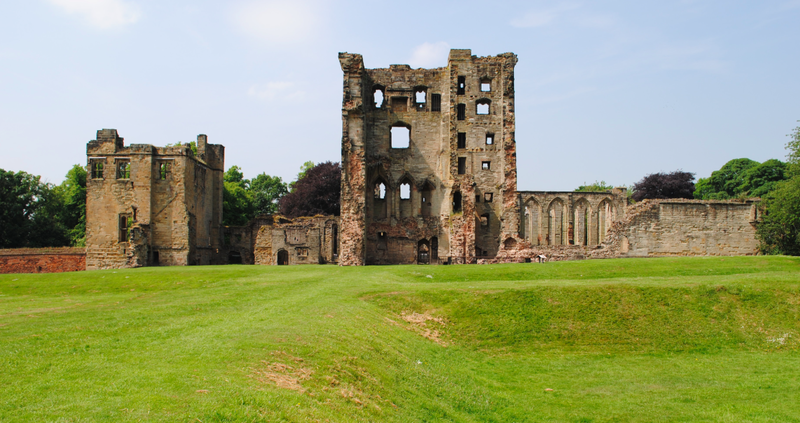 On the outskirts of Ashby De La Zouch stands the ruins of Ashby Castle and the earthwork remains of an associated formal garden, known as The Wilderness. The Castle was the creation of William, Lord Hastings, who was one of the leading political figures and artistic patrons of the 15th century. Edward IV granted license to fortify the site in 1474. Adapting an existing manor house, Lord Hastings also built a new chapel and two towers – the Great Tower and The Kitchen Tower. Work to the Castle was interrupted in 1483 when Lord Hastings was executed but Ashby became the principle seat of his descendants. Remaining in the ownership of the Hastings family until the mid 17th century, the Castle was besieged during the Civil War and surrendered to the Parliamentarians in 1646. The site is primarily a 12th century house that was redesigned and rebuilt over several centuries. The early Norman house and buildings were originally timber structures which were replaced by stone after 1150. The Kitchen Tower (above) stands to the west of the hall and was erected between 1350 and 1400. 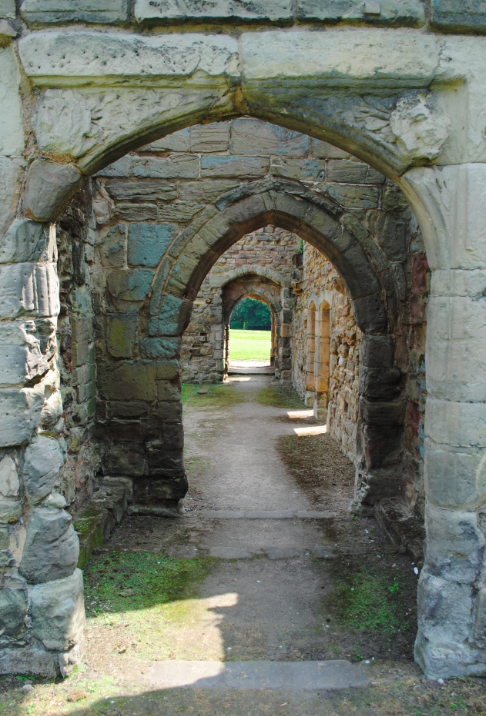 The lower two storeys originally formed a vast vaulted space which was ringed with hearths and cauldron stands. The kitchen had its own well, set in a wall niche. Above the kitchen was a spacious room with large windows, a timber floor and its own latrines. To either side of the Kitchen Tower there were further service ranges. 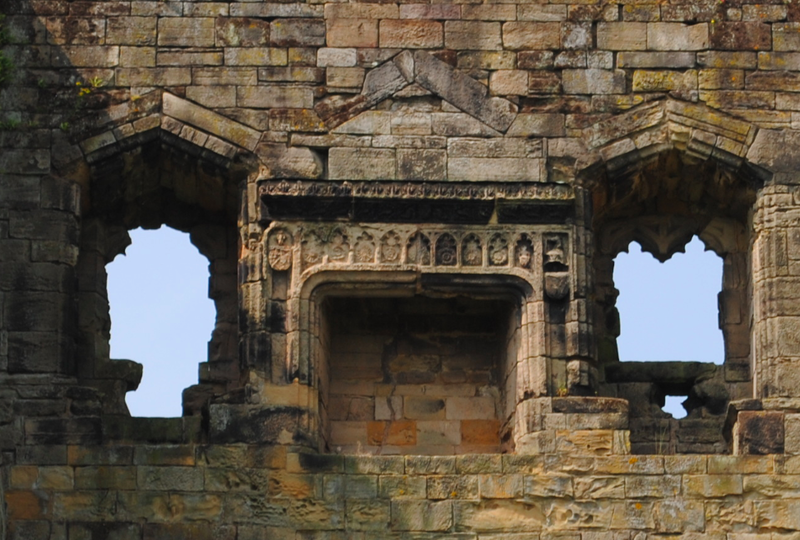 The size of the kitchen is unusually large and featured a high vault decorated with carved bosses of stone. Only two hearths remain following the demolition of one wall in 1648 and would have incorporated several cooking spaces, such as cauldron stands for boiling, fireplaces for roasting and ovens for baking. 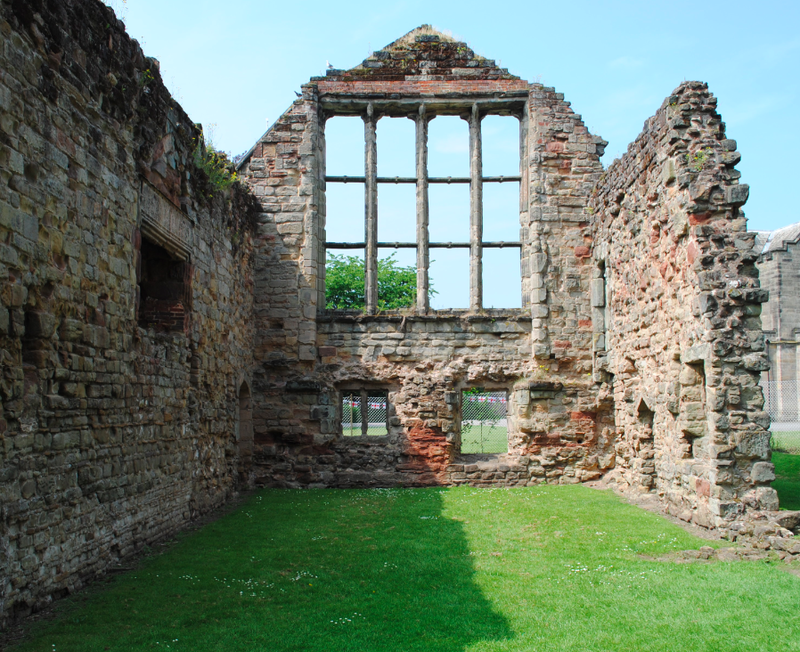 The Great Chamber is at the opposite end of the hall from the services and probably featured a parlour at ground level. Used as a principle room for entertaining important guests, the Great Chamber still retains a fine 15th century fireplace (below) and a huge grid window, cut through in the 16th century. The Great Tower is the architectural centrepiece of the castle and is thought to have been completed shortly after Lord Hastings obtained a licence to crenellate in 1474. 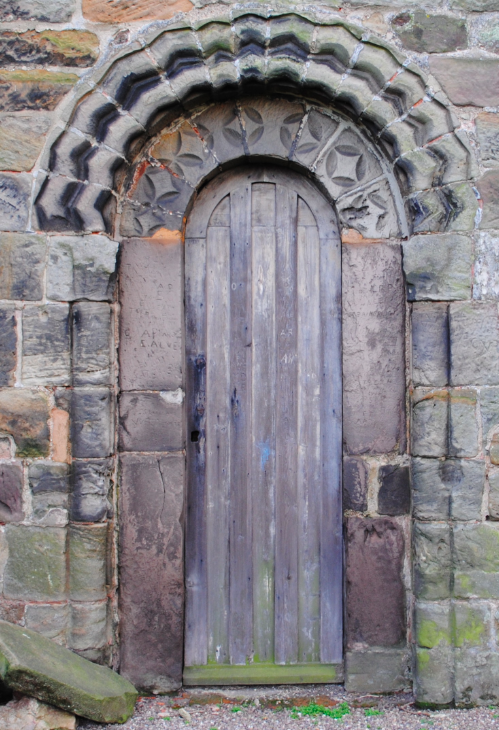 The Tower could be secured with a portcullis which fitted within the grooves on each side of the small entrance door. The Tower is elaborately detailed and features heraldic achievements of Lord Hastings and lions of England which ornament the entrance door. The Great Tower was the last major addition to the Castle and reflected the power and wealth of Lord Hastings. The Tower was blown up on the orders of Parliament in 1648. The operation was directed by William Bainbrigg of Lockington, a local cavalry commander. 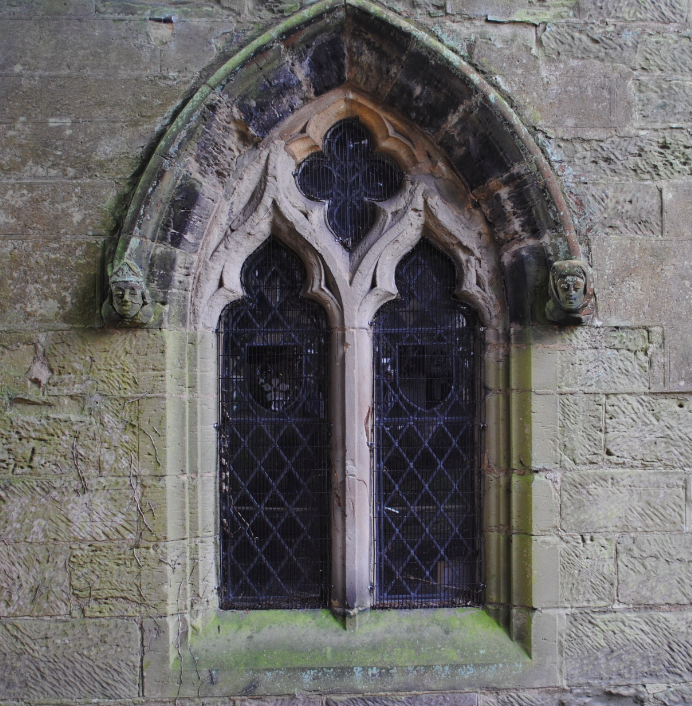 The Chapel (below) would have been served by priests and singers from the household and is thought to be the earliest of the extensive additions which took place between 1464 and 1483. Situated to the south east of the solar building, the Chapel had two balconies at the west end. Seated in stalls along the sides of the Chapel, original wooden panelling and a first floor gallery were located on the west wall. In 1907 the eastern part of the chapel was screened off for use as a burial place for the Hastings family. The remains of the garden earthworks date to the 16th century and are known as The Wilderness. The rectangular garden is divided in two by a raised walkway. Some garden designers are known to have built fortifications which had a strong appeal for the 16th century English nobility. By 1615, the gardens included a ‘wilderness’ which was a newly fashionable type of shady garden planted with trees. The gardens largely disappeared after the Civil War although a kitchen garden was maintained until the 18th century to serve Ashby Place. 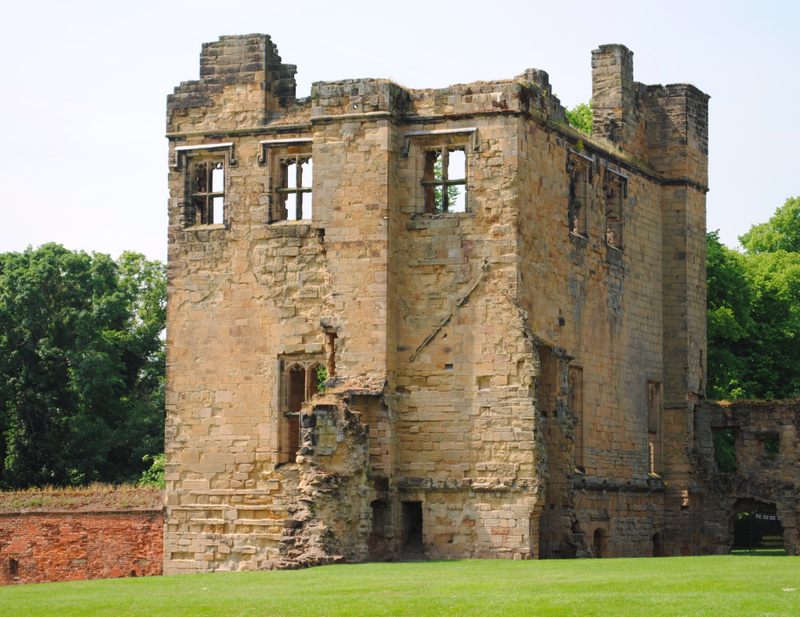 Ashby Castle is a Scheduled Ancient Monument and Grade I Listed. 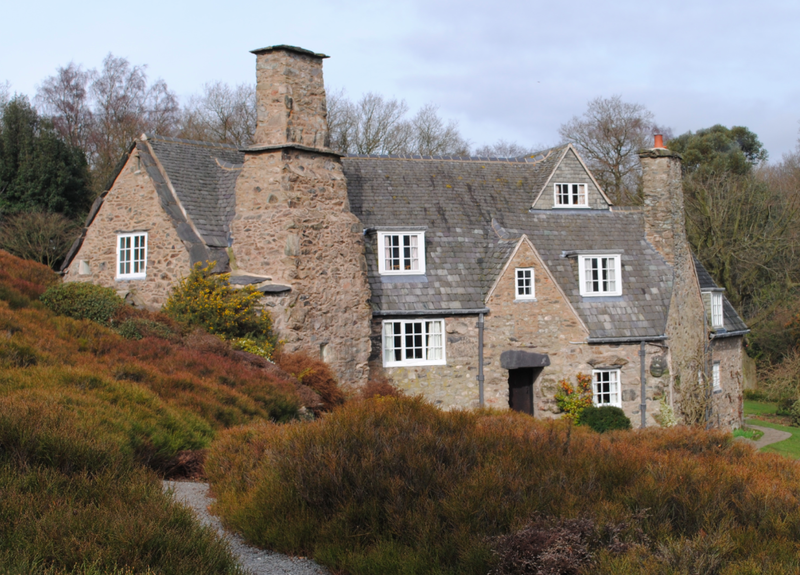 Stoneywell Cottage emerges from the surrounding landscape and was built as a summer house for Leicester industrialist Sydney Gimson, director of Gimson & Co. Vulcan Works. 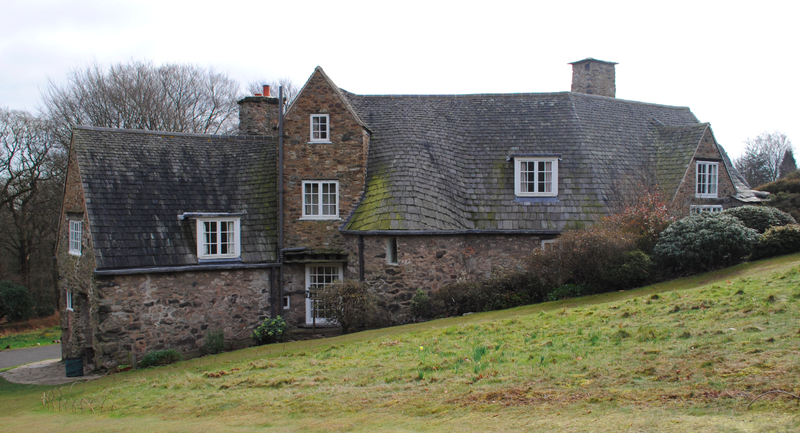 This wonderful building was designed by the Arts & Crafts architect and furniture designer Ernest Gimson and built with fellow architect Detmar Blow. Stoneywell Cottage remained in the Gimson family for three generations until the National Trust acquired it in 2012. Completed in 1899, the building is constructed of granite and slate rubble stone and originally had a thatched roof. Following a fire in 1939, the roof was replaced with Swithland slate by Humphrey Gimson. Stoneywell features original woodwork throughout the building and fully incorporates the simplicity of the Arts & Crafts movement. The Dining Room is the first room you enter through the front door and was originally the kitchen until 1953. 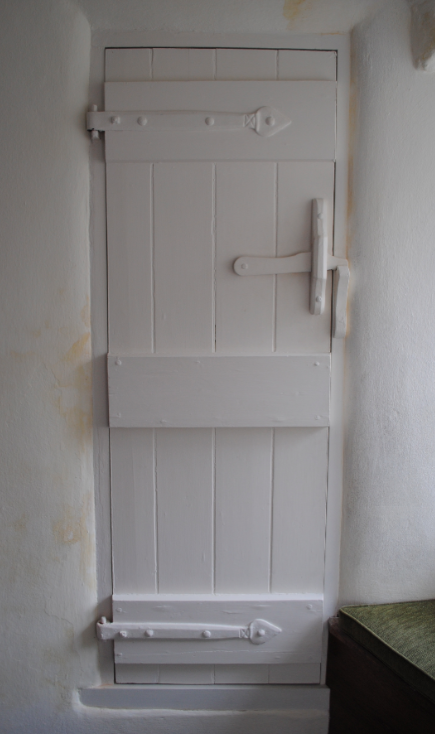 The last owners of Stoneywell, Donald and Anne Gimson, created a kitchen behind the door near the dresser (above top left) which had been the larder, earth closet and coal store. 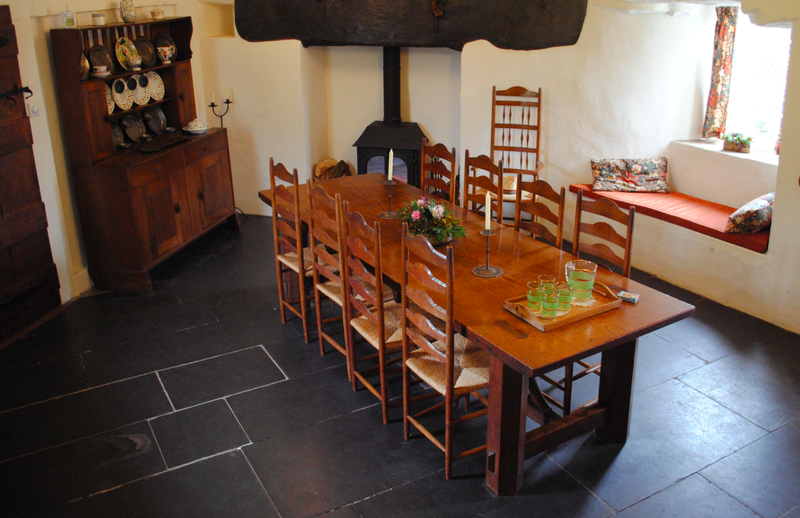 The beautiful oak table dominates the centre of the room and was made by Sidney Barnsley. The Sitting Room is accessed by a broad flight of slate stairs from the Dining Room. Providing wonderful views from the window seats, the room is an idyllic setting to unwind. 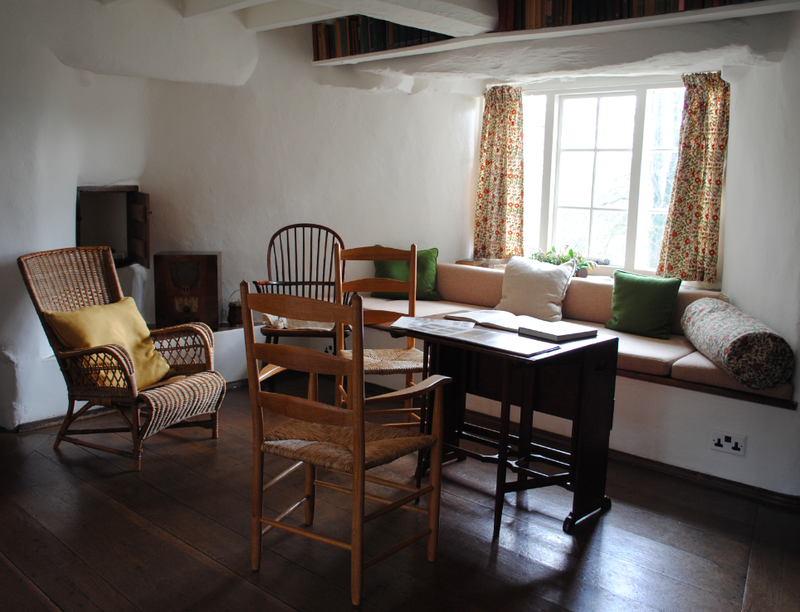 The room features an inglenook fire, an Orkney chair and rush-seated chairs made for the National Trust by Lawrence Neil who still uses many of Gimson’s tools. 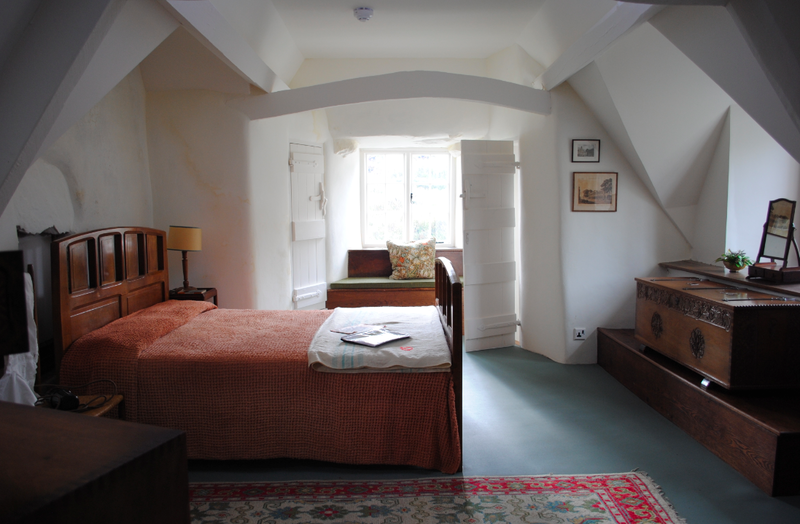 The Main Bedroom is accessed by a staircase from the Sitting Room below and features wonderful furniture, exposed beams and a triangular one light window. 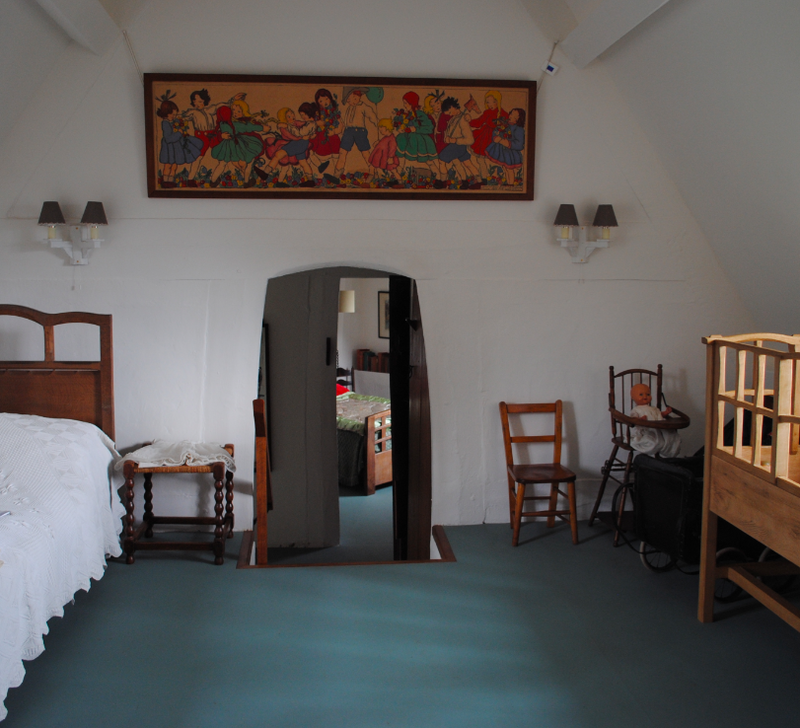 This quirky room has a walnut coffer (above right) which was designed and carved by Joseph Armitage. The coffer was made for Basil Gimson’s 21st birthday by Sidney Barnsley and was bought to Stoneywell in 1947. 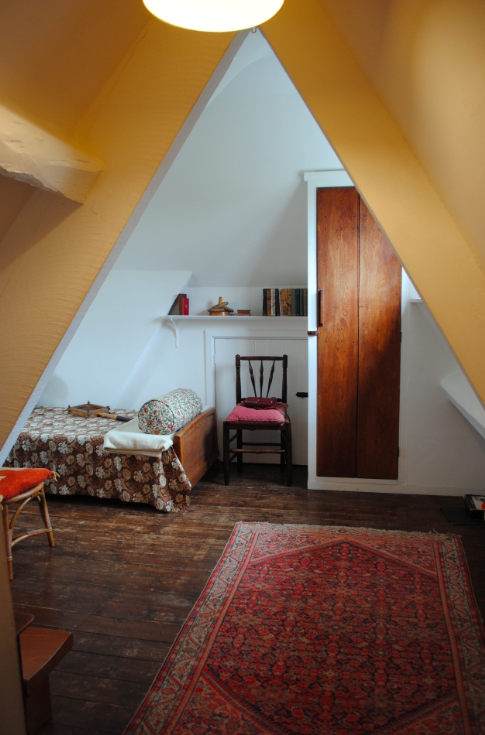 In the 1950’s, the Walkthrough Bedroom (below) became a Nursery for Donald and Anne’s daughter Sally. The room has a beautiful colour print above the door to the landing which is from a painting by a Viennese schoolchild. The print was sold to raise money for the Red Cross following World War One as Sydney had been involved in helping Belgian refugees who had fled from Germany. The Well Room (below) was so named owing to the fact that you step down into the room. 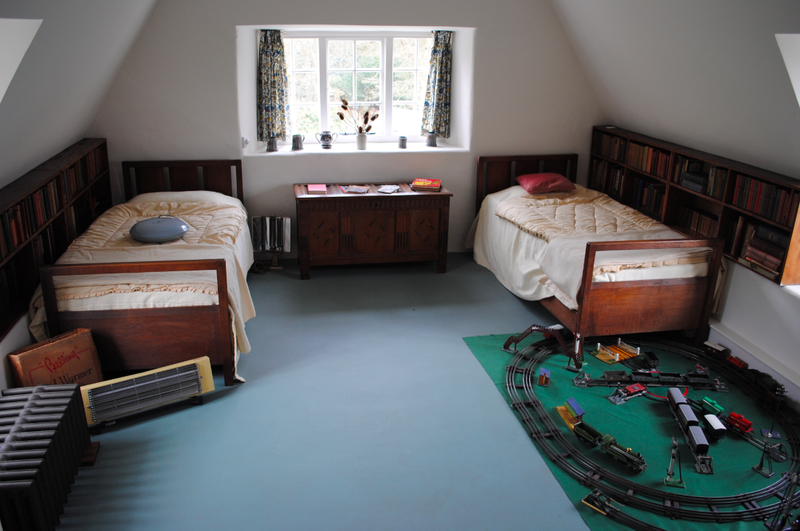 The room was used as a bedroom for Donald’s son Roger but had previously been used as a summerhouse. Edward Barnsley was commissioned to make the bookcases which fit into the eaves of the room and accommodate the second hand books collected by Basil Gimson. The Well Room has a wonderful collection of furniture and working toys. The two cane chairs above were made by the Leicester firm Dryad. Reviving the traditional craft of basket making, Harry Peach, who was a friend of Sydney Gimson, followed the fashions of the continent but the firm’s production was sadly ended with the invention of the American Lloyd Loom. The bedroom on the top floor of the building was used by many visitors to Stoneywell and was named Mount Olympus – the highest point in the ancient Greek world. 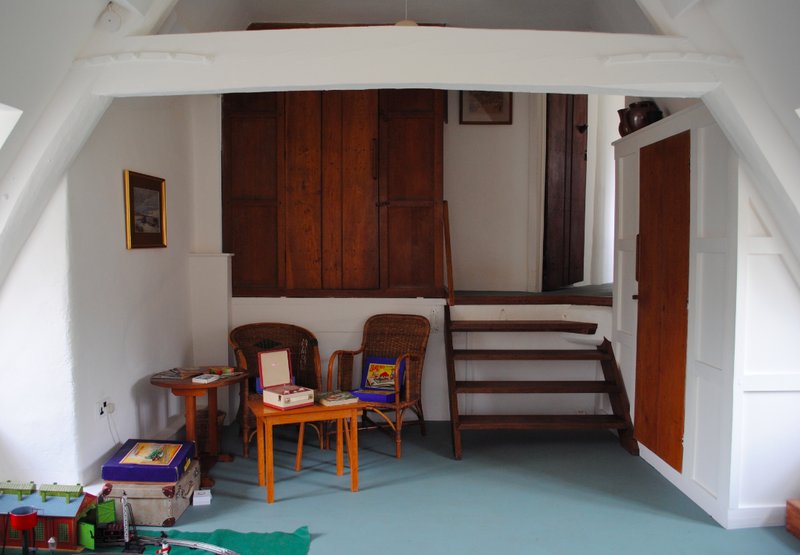 The room was much smaller than the present size before the fire of 1939 and was accessed by a ladder from the Nursery. 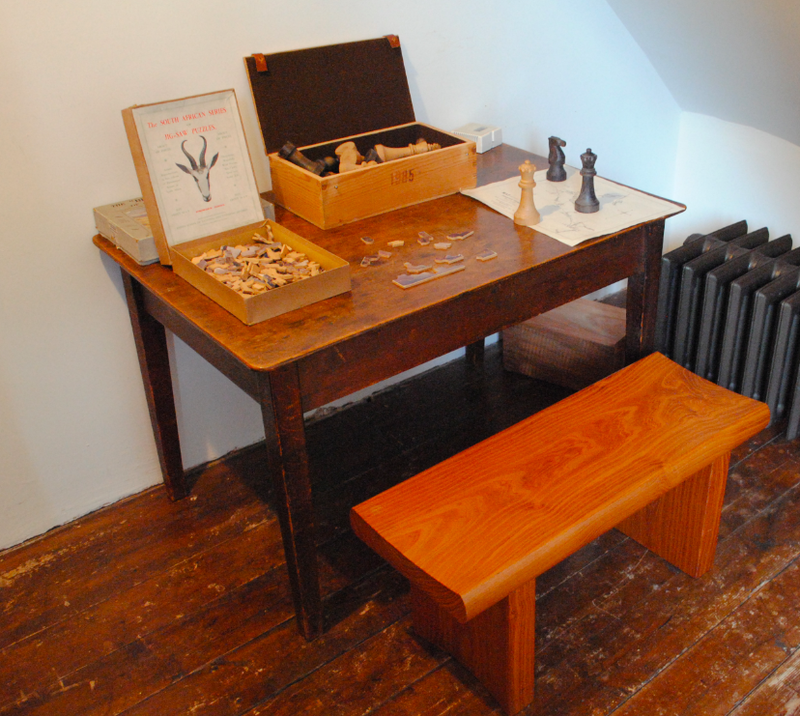 The room has a wonderful collection of Arthur Ransom novels and a chess set (below) made by Donald Gimson. Towards Mill Lane is the conically roofed Well House (below). 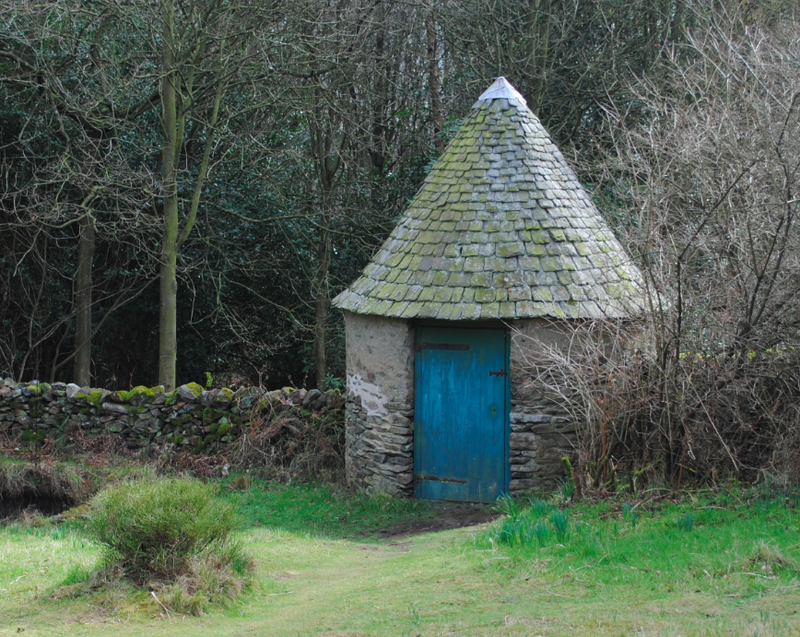 The Pump House is shared with Lea Cottage and was built in 1899 by Ernest Gimson for Mentor and Sydney Gimson. The one storey round building is constructed of granite and slate rubble stone with a Swithland slate roof and is Grade II Listed. Stoneywell Cottage is Grade II* Listed. Outside Bosworth Battlefield Heritage Centre stands King Richard’s Stone. 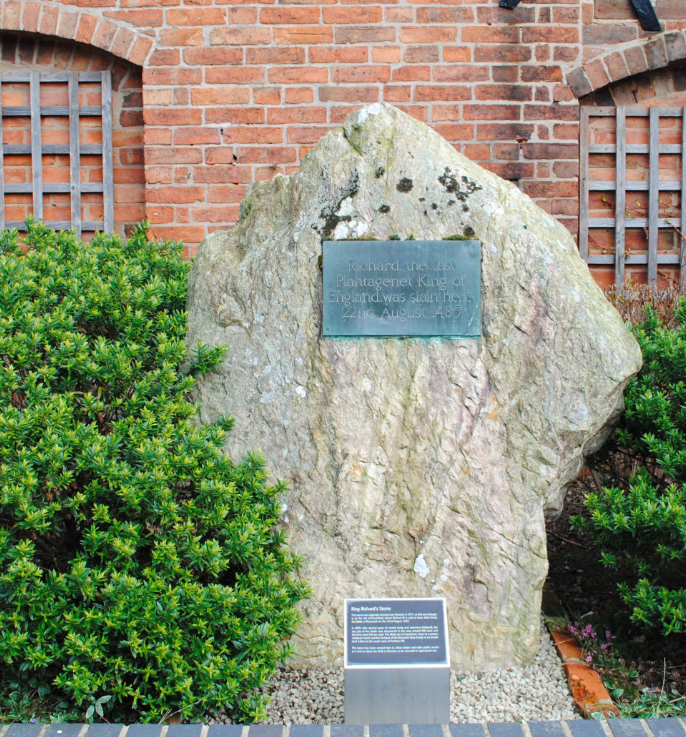 The stone was originally erected near Shenton in 1974 as this was believed to be the site of Sandeford, where Richard III is said to have died during the Battle of Bosworth on 22nd August 1485. Following extensive fieldwork and careful study, the true site of the battle was discovered in the area around Mill Lane and the Fenn Lane Roman road. Close to a proven medieval marsh is the much more likely site of Sandeford and was the find spot of the Bosworth Boar badge which is on private land 2.5km south west of Ambion Hill. King Richard’s Stone was moved to the above spot to allow better and safer public access and to allow the field at Shenton to be returned to agricultural use. 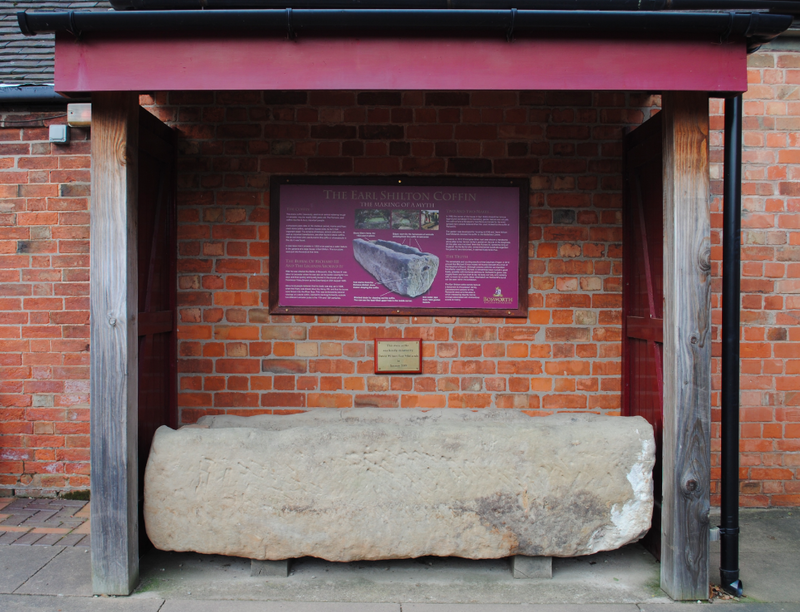 On display in the courtyard at Bosworth Battlefield Heritage Centre stands a stone coffin. The Romans used coffins similar to this example to bury important citizens. The above coffin is thought likely to be 2000 years old and was previously used as a watering trough in Leicester. During the Medieval period, monks and friars used such stone coffins and the remains of important benefactors, bishops, abbots and priors are often found buried in stone specimens. The above coffin was taken from Leicester in 1903 to be used as a water feature in the gardens of a large house in Earl Shilton. Iron pipes were put into the ends at that time. The coffin has tool marks from the Romano-British stone mason who shaped the coffin and worn edges from the harnesses of animals drinking from it in Leicester. The garden of the property in Earl Shilton was developed for housing in 2009 when David Wilson East Midlands donated the coffin to the Battlefield Centre. 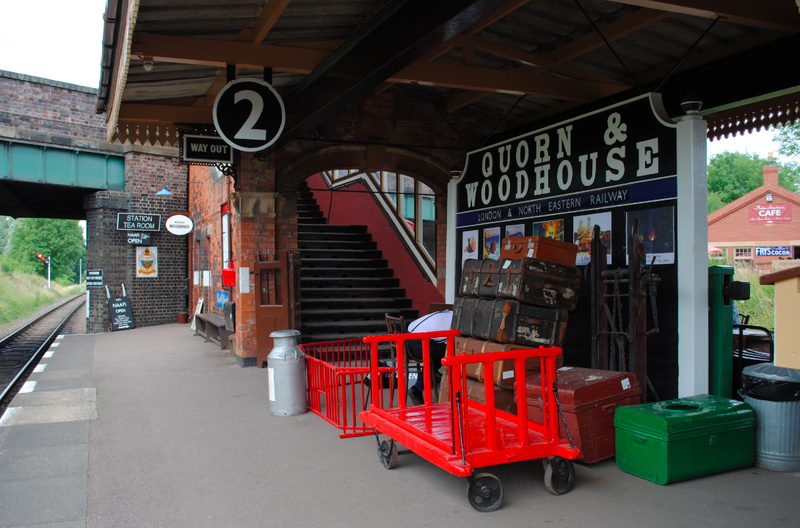 Opened in 1899, Quorn and Woodhouse railway station was part of the Great Central Railway London Extension. The station design is of a single double sided island platform. 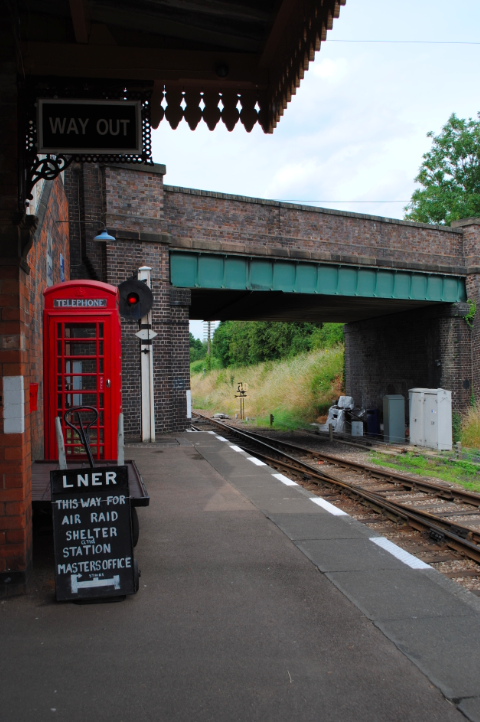 The single storey platform buildings are constructed of red brick with the office of the station master having a fretted canopy. 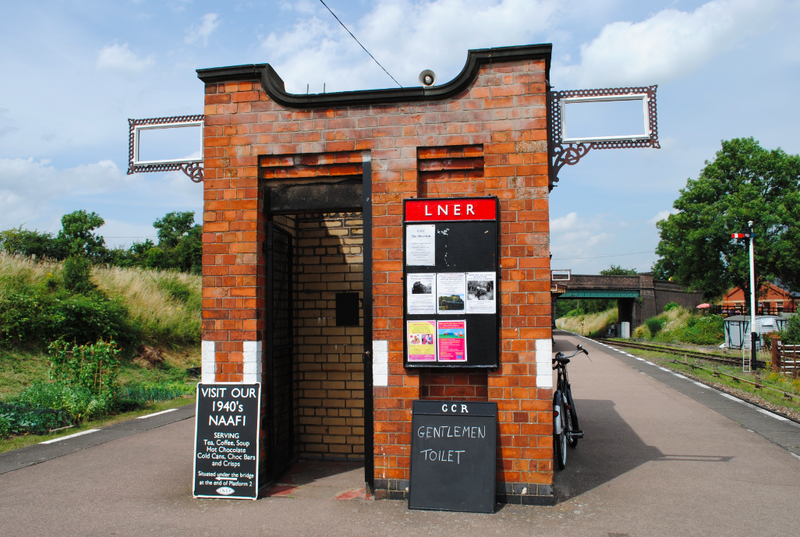 The station was closed in 1963 and reopened in 1974 as part of the then private Great Central Railway. 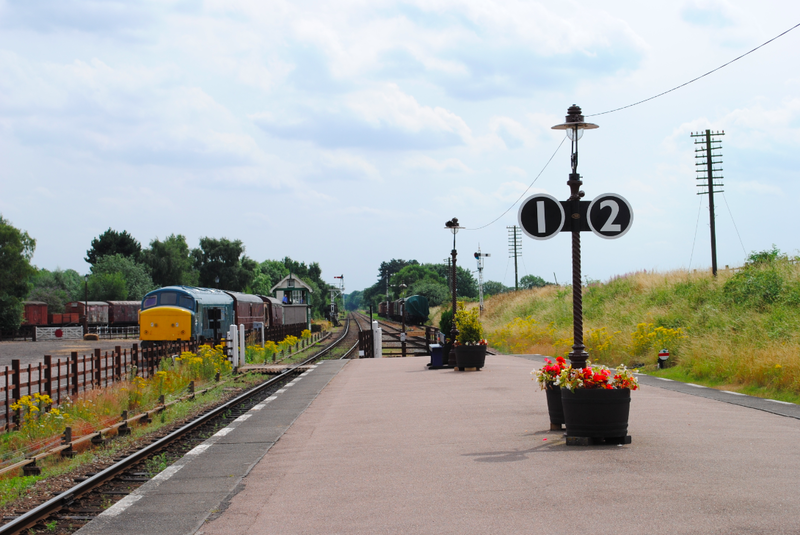 The goods yard was expanded during World War II with ammunition stored in local bases. 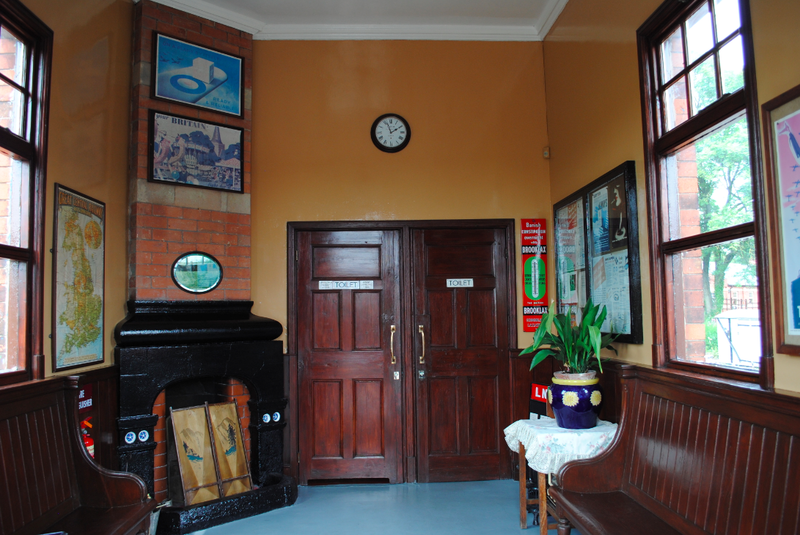 The station has been restored to a 1940’s style due to the association with World War II. 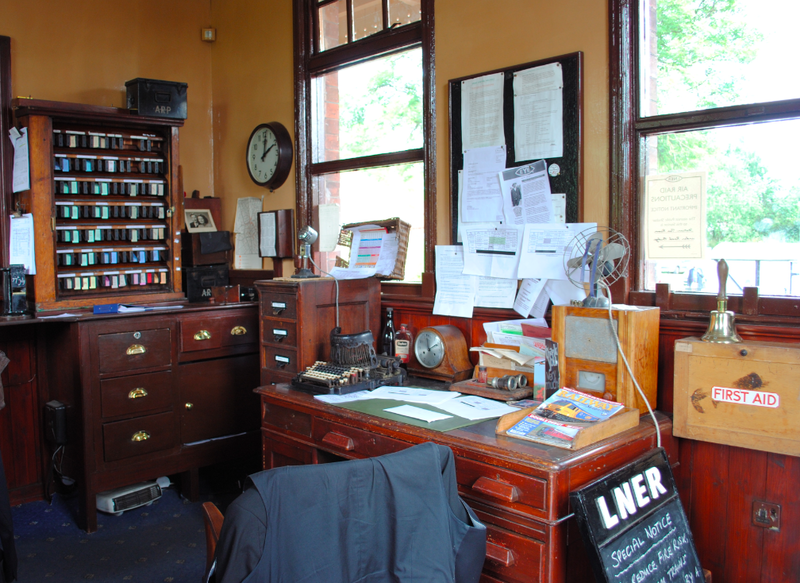 The Booking Office (below) and General Waiting Room (above) with authentic furniture and advertising. 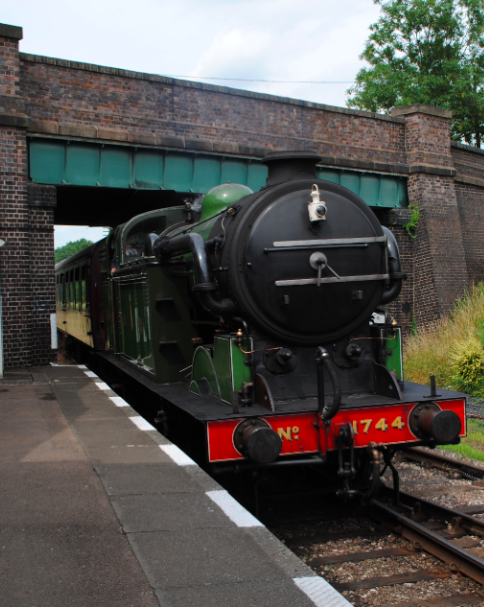 The Great Central Railway is the only double track main line heritage railway in the UK and is Grade II Listed. 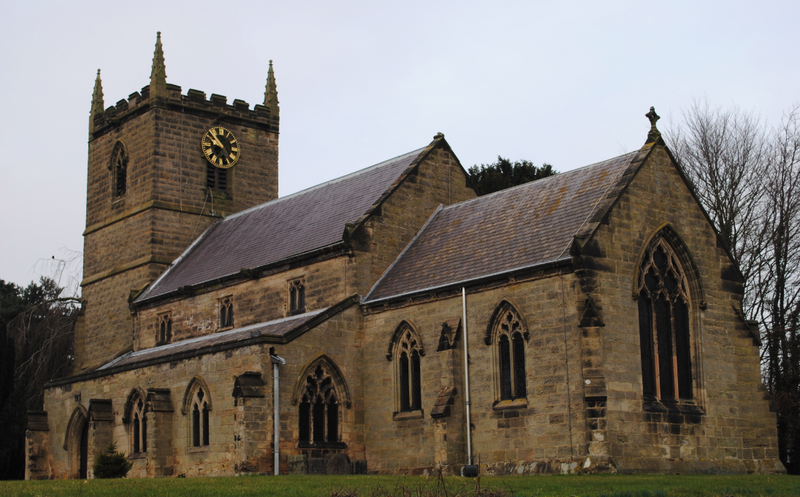 The parish church for Heather in Leicestershire is dedicated to Saint John the Baptist. 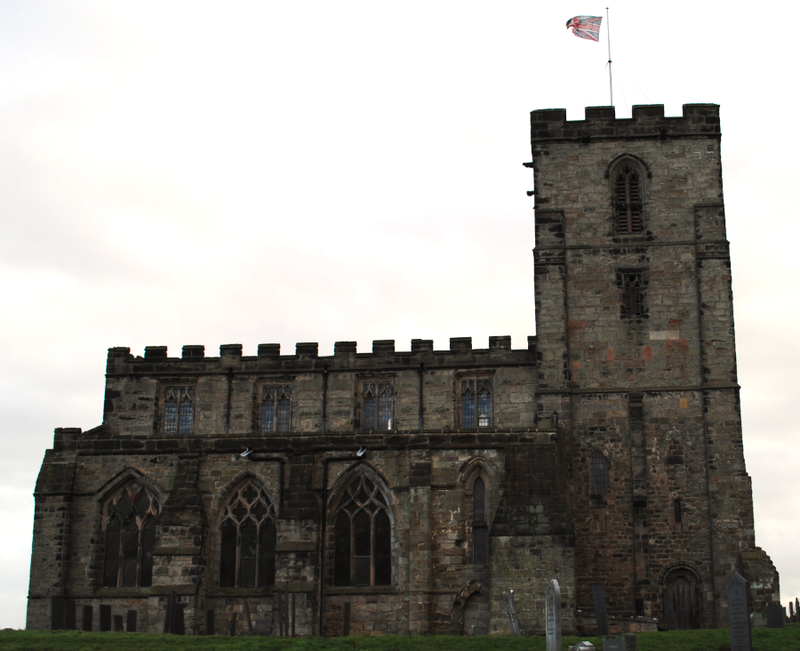 Featuring a large tower with three bells, it was built circa 14th century. 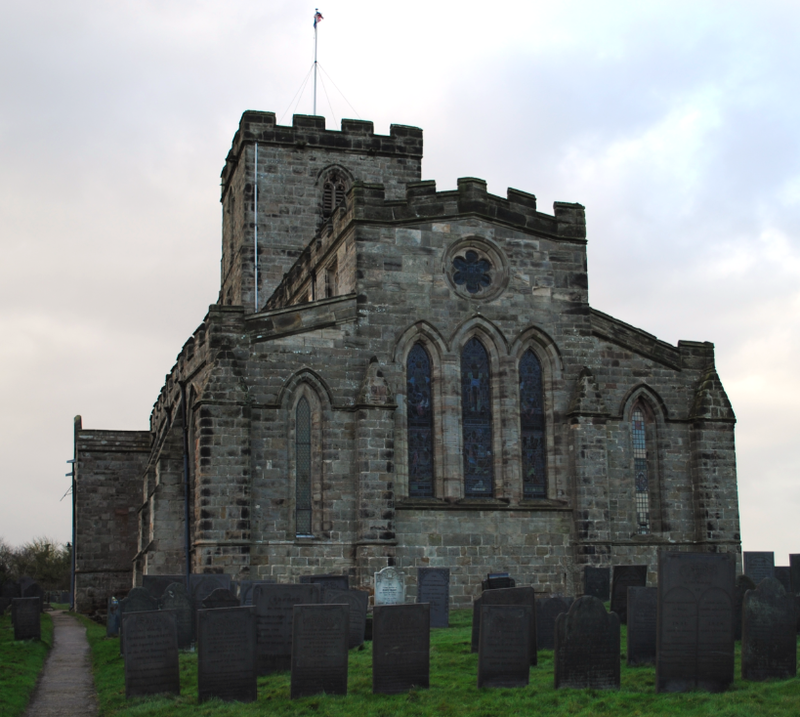 In keeping with the medieval character of the church, it was restored in 1847 with the addition of a new chancel. The building is constructed of coursed sandstone with a west tower, originally with a spire, featuring corner pinnacles. 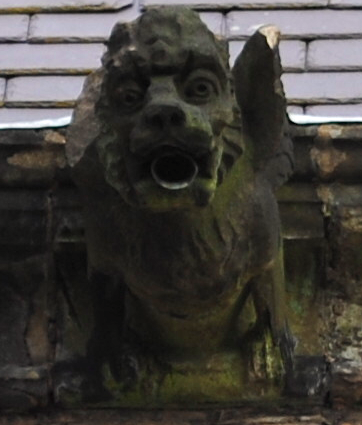 Gargoyles adorn the eaves above the clerestory. 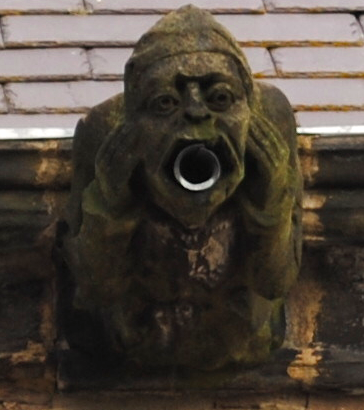 Corbel heads feature on the windows of the church. The church is Grade II* listed. On a man made cliff in Leicestershire stands the Parish church of Breedon on the Hill. 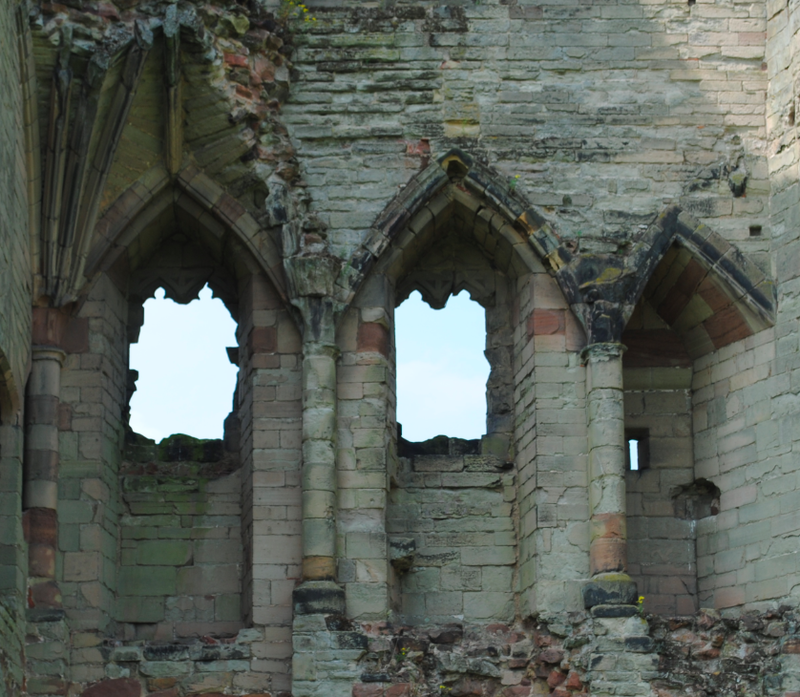 The first Christian monastery was established in Breedon in the late 7th century and was founded by King Aethelred of Mercia. 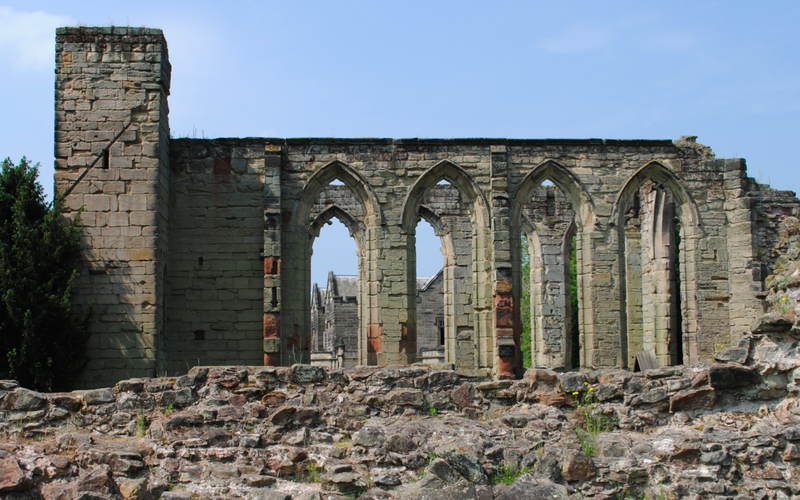 In 731, Tatwin, a priest at Breedon, was made archbishop of Canterbury. Formerly the church of an Augustinian priory founded in the early 12th century, the church incorporates 9th century carved masonry from the monastic foundation formerly on the site. A Romanesque doorway (above) with inner decoration feature on the church. The building is constructed of stone rubble and ashlar and underwent repairs in 1784 which were carried out by the 18th century architect Joseph Wyatt. The church has a battlemented parapet,deeply chamfered lancet windows and intersected tracery. The church is Grade I Listed.